UNITED NATIONS, Feb 7 2013 (IPS) - The fight against female genital mutilation and cutting (FGM/C) continues to gain traction around the world. On Wednesday, the United Nations observed the annual Day of Zero Tolerance for FGM/C, an act that is shocking and inhumane to much of the world but remains a tradition among a significant minority. This year’s observance is particularly momentous after the General Assembly’s December 2012 unanimous adoption of the resolution on “Intensifying Global Efforts for the Elimination of Female Genital Mutilations”, which U.N. Population Fund (UNFPA) Executive Director Dr. Babatunde Osotimehin says “speaks volumes to the world’s commitment” and is “the greatest testimony to the work we do”. An estimated 140 million women and girls in the world – 120 million concentrated in 29 African and Middle Eastern countries – are living with FGM/C, which, in addition to being excruciatingly painful, can result in infection, cysts, infertility, childbirth complications, and the need for corrective surgery. 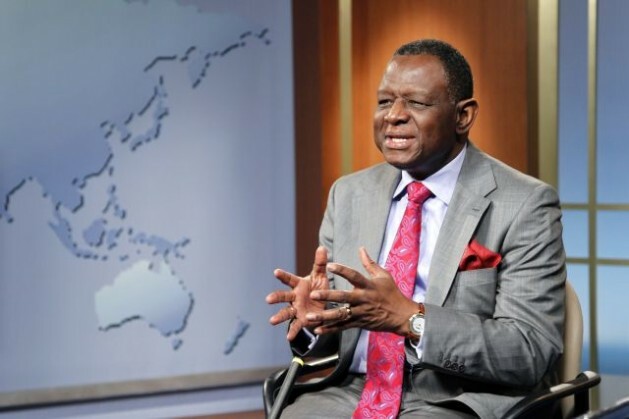 IPS correspondent Marzieh Goudarzi spoke with Dr. Osotimehin on UNFPA’s role in the global fight against FMG/C. Excerpts follow. Q: According to data from the World Health Organisation, FGM/C-affected communities exist in northern, northeastern, and western Africa and in some Middle Eastern and Asian countries. FGM/C is also practiced in immigrant communities from these countries living in other parts of the world. Are there common elements among these communities that allow FGM/C to continue? A: It is difficult to find a common thread, but I would like to suggest that it is more cultural than anything else. I do not think it is religion. What UNFPA has done with our partner, UNICEF, is to engage communities across those regions that you mentioned and persuade them that FGM/C has no medical benefits at all and that, for a fact, it causes damage to women and girls physically, psychologically, and emotionally. Q: Can you discuss some specific mechanisms employed by UNFPA and UNICEF to bring about change? A: On the ground, community dialogue, making sure we connect directly to the community, and making sure we educate them about the harmful effects of FGM/C, are all crucial. We do this with community leaders, religious leaders, and the women, especially the elderly women, as well as the practitioners themselves, who are engaged in this practice. For some, it has been like this for generations so you have to try and shift them away from that sort of harmful tradition. We are also encouraging them to abandon FGM/C and we see great success in that area. In fact, last year alone, a total of 1,775 communities across Africa publicly declared their commitment to end female genital mutilation and cutting. That was very gratifying. We have also worked in countries to put in place a legal system and laws to penalise the practice. Thirty-four African countries that have done this. Q: To what extent does the UNFPA-UNICEF Joint Programme for the Acceleration of the Abandonment of FGM/C work directly with local implementers on the ground in FGM/C-affected countries? Who are the key local implementers? A: The truth of the matter is that we at UNFPA and UNICEF work in countries to provide assistance, support, and advocacy to governments and to civil society. So we see that “tripartite” as an essential to what we do. We don’t do it all by ourselves because of sustainability issues. You have to build a whole army of stakeholders on the ground, particularly when you do community work, which will consist of local leaders and civil society, to be able to sustain the advocacy and to ensure that communities go forth from where they are now and are able to maintain that pattern. Q: What is UNFPA/UNICEF’s strategy in approaching a sensitive issue like FGM/C, which communities see as rooted in cultural or religious tradition, and how do you engage communities and community leaders who hold these beliefs while actively working to abolish the practice of FGM/C? A: We go into communities, first of all, to understand communities. UNFPA initiates community dialogue with interlocutors that have integrity within the community, with mutual respect from both sides, to understand why they do the things they do. We then explain to them that these are things we believe we have to let go because of their consequences, and demonstrate quite clearly to them why that is so. It takes some time for them to change what has been a part of their culture for years and years. However, this can be done with persistent and continuous engagement, honesty of purpose, and the ability to generate “champions” on the ground who will impact their communities. This is the basis of our success on the ground. Q: Recent data shows that since the establishment of the UNFPA-UNICEF Joint Programme in 2008, nearly 10,000 communities in 15 countries, representing about eight million people, have renounced FGM/C. UNICEF data from 2012 shows that younger women and girls have lower rates of FGM/C than their older counterparts. Looking ahead, what has worked for the countries that are making progress and how will UNFPA and UNICEF continue their work on this issue? A: Going forth, we want to continue to ensure that we build capacity on the ground, and also ensure that we identify real “champions” who will work on the ground. Sustainability of (the programme) is in community ownership… and in making sure we have data which is reliable, that enables us to track the progress we make and give us a better on handle on what we see. We have trained about 88,000 health providers and established 15 medical and paramedical schools just to make sure that this is not something which is going to regress. If the present trend continues, there will still be as many as 30 million girls below the age of 15 that will still be at risk. We need to continue to give visibility to the issue to ensure that we can avoid the unfortunate extent of girls being cut.